Plantains resemble bananas but typically are referred to as cooking bananas. Often used in African meals, they tend to grow longer than bananas and have thicker peels and starchier fruit. 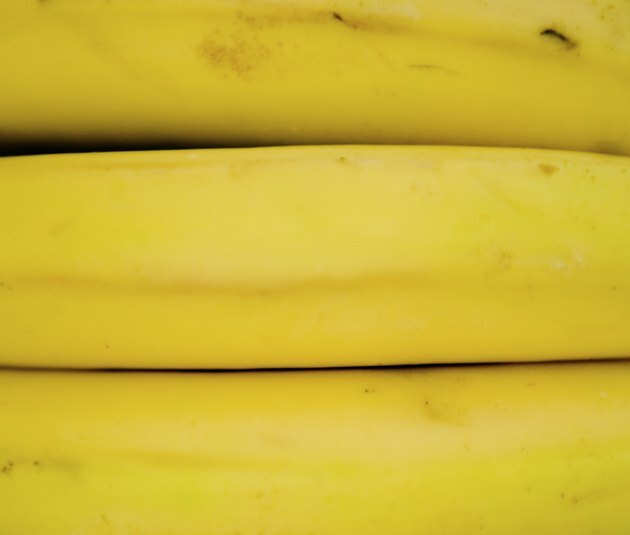 In fact, the flavor of a plantain is closer to that of a potato than the usual sweetness of a banana. You can prepare plantains in a variety of ways, including as a side dish or the main part of a meal. Choose ripe or ripened plantains. Unripened plantains are green, while the ripened fruit are nearly black. You can boil ripe or ripened plantains or prepare a combination of both types. Wash the fruit with the peel on, using warm water and a bit of fruit and vegetable wash or dish detergent. Rinse and scrub the fruit well to remove any soil and detergent residue. Chop whole plantains into halves or thirds, depending on their size. Cut large plantains into thirds and small fruit into halves. Fill a pot with enough water to cover the plantains and bring it to a boil over medium to high heat. Boil the plantains until they become tender, which typically requires about 15 to 20 minutes of cooking time. Ripe plantains require less time than unripened pieces. Test them with a fork to judge tenderness. Remove the cooked plantains from the pot, drain any excess water and peel the skin off just before you eat or serve them. Wait until they cool enough to touch without sustaining burns. Serve the plantains along with a sauce. For example, make a pepper sauce out of a small amount of heated oil, salt, chopped onions and chili peppers. Alternately, drip a bit of olive oil mixed with salt onto the plantains just prior to serving them. Buy firm plantains rather than those that appear mushy. Avoid fruit that has cracks. You also can fry or bake plantains. Frying may prove a better option if you'd like a crispy surface, but boiling is healthier.